On Sunday October 22nd, over 300 women gathered at Bellvue Manor in Vaughan, to enjoy a special morning to celebrate healthy aging. This year with the help of our sponsors we raised over $32,000 for the Mackenzie Health Foundation. This brings the total that The Joy of Aging has raised for the Foundation to over $275,000. 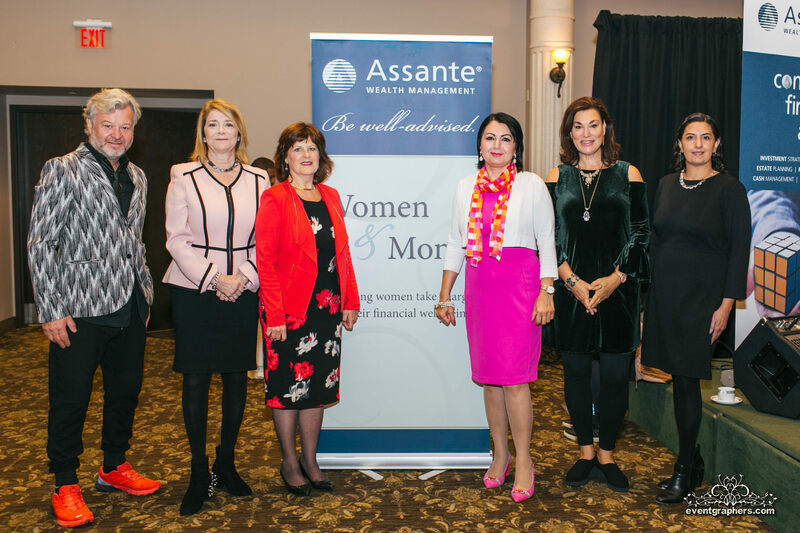 The event was organized by financial planners, Tina Tehranchian and Janine Purves and their team at the Richmond Hill branch of Assante Capital Management Ltd. with the assistance of a dedicated team of volunteers and committee members. This year we had some new faces and some returning guests. Amy Sky, the famous singer and songwriter, was the emcee of this year’s event. She not only kept the morning joyful and entertaining, but also graced us with a live performance at the end of the event. Musicians Julia Long Steinwall and Fergus Hambleton were first to take the front stage serenading the guests with acoustic rendition of classical hits and their own material. Ingrid Perry, Chief Executive Officer of Mackenzie Health Foundation spoke on the recent achievement of the foundation including an update on construction of the New Mackenzie Vaughan Hospital. Nancy Coxford, the past chair of the board of Mackenzie Health Foundation and a long-time supporter of the Hospital, talked about her family’s dedication to and ongoing of support of Mackenzie Health Foundation. Dr. Vivian Brown and Dr. Nasreen Khatri, prominent brain health researchers, talked about how to keep your brain healthy as you age. Daniel Fiorio, the celebrity hairstylist and owner of Daniel Salon & Spa in Yorkville, and his team performed a hair makeover on three models on stage and shared tips for keeping your hair healthy and updating your look. Financial planners, Tina Tehranchian and Janine Purves, also the Platinum Presenting Sponsors, continued the morning with their presentation about how our emotions impact our decisions when it comes to our investments and how to make better decisions by raising our self- awareness of our own biases. Energetic fitness instructor, Jennifer Cassandra JL Move continued the fun with a fitness session that she performed together with Vaughan firefighters, which had the guests breaking a sweat. This year we introduced the exclusive VIP Pamper Me Bags. These bags were sold for $100 and included over $850 worth of products and gift certificates and entitled the purchasers to get pampered with makeup and hair touch up, massages and access to the photo booth. Thank you to our ‘pamper me pass’ sponsors, Arbonne (also our Gold sponsor), Dr. Jennifer Pearlman, Daniel Salon and Spa, Care & Cure Healthcare and Mech Physiotherapy, Forever Young Hair Studio and Day Spa, Merck Photography and Holly Eyewear for their time and dedication. Proceeds from the 8th Annual Joy of Aging event will help fund the new DASA Program (domestic abuse and sexual assault care centre) at Mackenzie Vaughan Hospital. 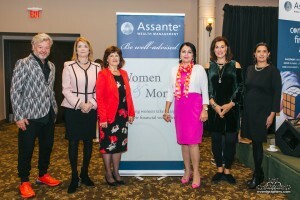 The sponsors of the event included an array of national and local businesses including: Assante Capital Management Ltd. in Richmond Hill, CI Investments, Arbonne, Medisys, Fidelity Investments, Bayview Concierge, NEI Investments, Hummingbird Lawyers, RBC Global Asset Management, Viva Soul Tropical Properties, XAM Diamonds and American Standard. For the full list of sponsors, please visit the event web site at www.thejoyofaging.ca. Special thank you to our media sponsors Active Life, Metroland Media, ThatGuy Media Group, and Snap’d Vaughan East. Fair Print was the printing sponsor and Oh La Event Décor was the décor Sponsor. You can read the media coverage and see photos from the event on www.thejoyofaging.ca. We would like to extend a heartfelt thank you to our attendees, sponsors & volunteers who contributed to the success of this event. 2018 will be the 10th anniversary of the Joy of Aging fundraiser, so keep an eye out for The Joy of Aging 2018 details! You can visit www.thejoyofaging.ca for photos and video of the 2017 event and updates about the 2018 event.